Developed for a customer in Saudi Arabia, this new steam generator is very powerful, 200KG/steam, integrating an insulation of the main unit, the installation of the new Weishaupt burner and water treatment, the ensemble on a mobile 4-wheel chassis. Moreover, its thermal output will be improved. With the design office, SIMOX continues to improve its material, answering specific customer demands. Attaining a 2 ton steam generator is a first. In the early 1950’s, the first steam generators were sold by SIMOX, after a patent was registered by the company. The generators are intended for use in the agricultural industry (weeding and disinfection of ground soil and substrates, in a natural and organic manner much before being generally accepted). 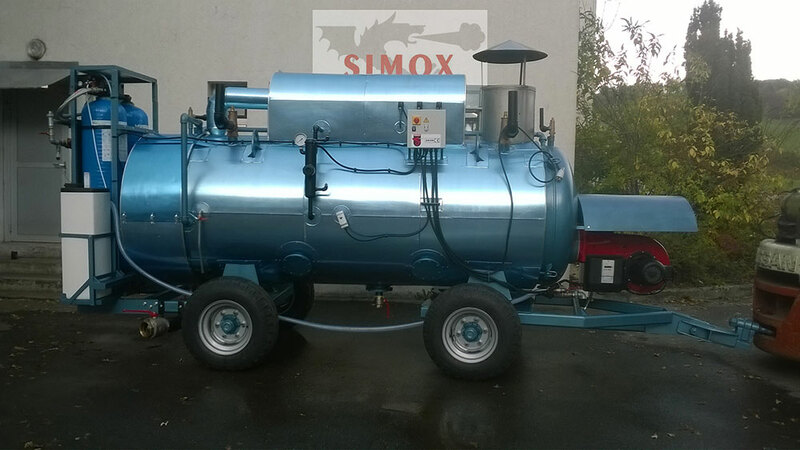 Since, SIMOX continues to improve the output of the low-pressure steam generators. Another step has just been taken. The superheated steam at high temperatures (170 to 180°C) increases its penetration speed into the ground soil and reduces the disinfection time and costs, to around 20%. 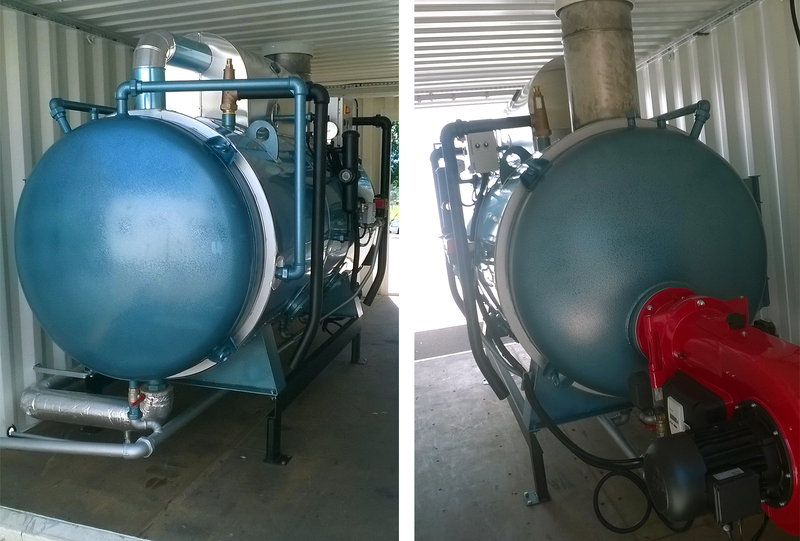 Associated with high thermal output, the SIMOX steam generators disinfection costs are the lowest on the market.